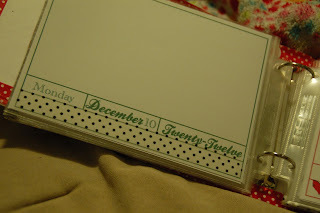 I am so excited for my December Daily this year! I feel like this is going to be the year that I finally catch on and get it working for me. It's only November 6th and I already have my foundation pages printed, cut, mostly embellished, and sitting inside my album waiting for the wonderful stories that will fill them come December. I had decided when I took on this project this year that I was going to go for a more simple approach than I have in years past, as I think I get too caught up in the making it perfect and never finish it. I opted for a smaller size album of 5x7 for that reason; less space means less embellishments, less embellishment means simplicity, simplicity means SUCCESS. I hadn't entirely decided on what my foundation pages would look like until yesterday when Ali Edwards posted her foundation pages for the year. I was instantly drawn to them and knew I had to duplicate it. It was just the simplicity I was looking for. You can see an example of it to the right, isn't it so simple and beautiful? Love, Love, Love it. You can check out more of her foundation pages here. I am pretty happy with the way it turned out. I wanted to have them all be on the bottom (Ali varied hers a little more), which made it easier for me. I then printed them off and set to work using the crop marks to cut them down to size. 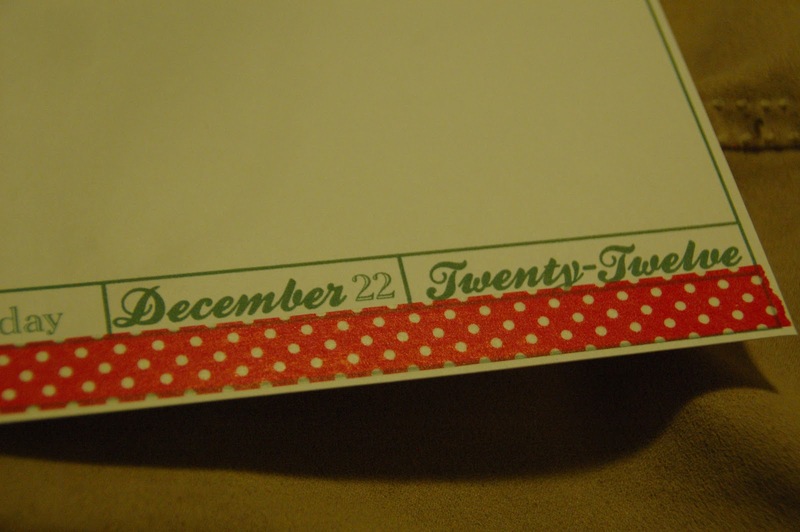 I then added some washi tape to many of the pages. Getting my inspiration once again from Ali. I love these beautiful Washi tapes from Downtown Tape. They are so wonderful and versatile. If I got a stocking full of washi tape this year I think I would be one happy girl! 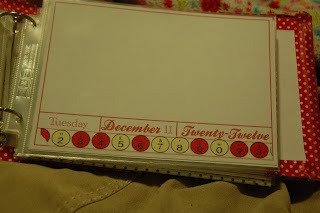 Again, the pages are super simple, the top space will either house a photo, or some journaling, or embellishments, or memorabilia from each day, likely a bit of all of it. 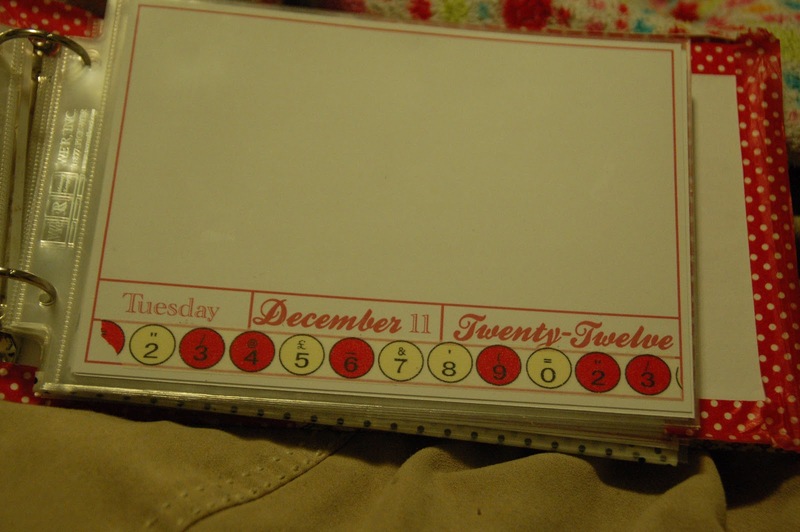 I am so happy that I have it close to finished for December! Now here is a fun chance for anyone who is reading! I've got some leftover supplies for these foundation pages, enough to make a set for one of you! If you are interested in participating in December Daily this year this is a great way to get started! So what do you have to do to win it? Enter using the rafflecopter form below. I'm already a follower! I love what you're doing! I would love to win this but I understand if you feel you have to exclude family. There's a site that makes contests like this really easy. I think it's rafflecopter. You might want to look into it. It logs everything automatically for you and randomly picks the winner. For some reason I thought it was a paid service. Thanks for the idea. Now there is a rafflecopter form! Make sure to enter! 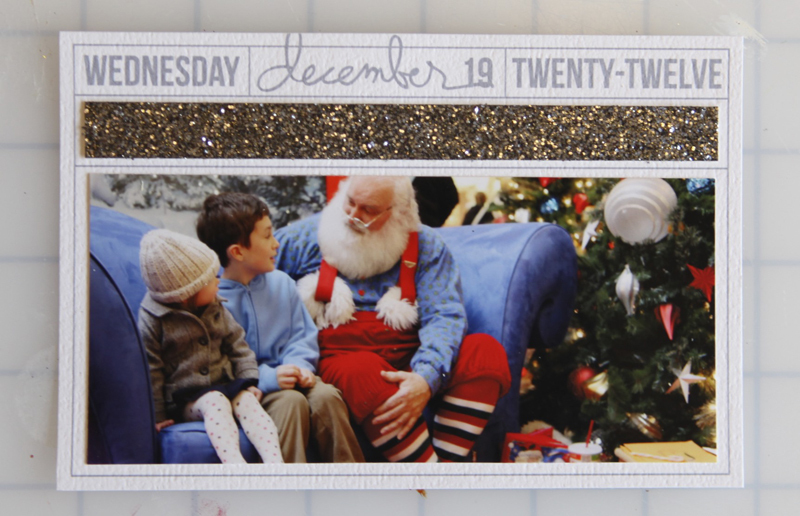 I could send it with your Christmas gifts if you win! Oops... I kind of entered my own giveaway. Can't figure out how to undo it. Awww, I missed the contest! Just saw this post: looks like fun! Emily, if you send me your address I will send you some. Dominic was the only one who entered, and I don't think he would mind sending them to you.